Refrigerator Pantry Slide Cover Assembly, White Frame With Clear Plastic Window. Has the words "CoolSelect Pantry" on the front. This is a new GENUINE Samsung replacement part. 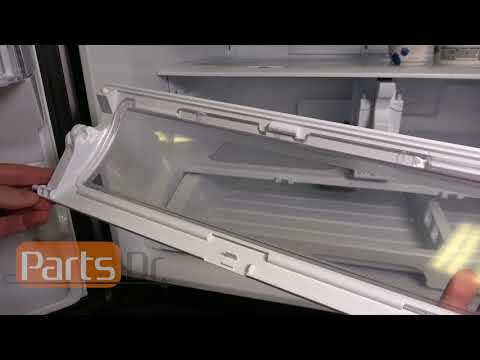 This video provides step by step instructions on how to replace the Samsung Coolselect Pantry Cover Part # DA97-07020C (PD00002203). Tab for cover to refrigerator fresh fruit drawer broke off. Found part online at your site, ordered and it came the next day (WOW). One of the side stem for the cover snapped. Replaced a broke tray cover. Installation was simple. This part PD00002203 (Mfg #DA97-07020C) works with all models listed.